NEW YORK (AP) — A daughter who never returned home, a son gunned down point-blank, a mom who was attacked — all deaths at the hands of immigrants in the country illegally, all gripping stories the White House has been eager to share. The case of Mollie Tibbetts — a 20-year-old Iowa college student authorities say was killed by a man living in the U.S. illegally — is among the latest used by Trump to advance his argument for stricter immigration controls. Yet government statistics show such cases are far more likely to be the exception than the rule. ICE arrests of noncriminals soared 66 percent in the first nine months of the 2018 fiscal year over the same period a year earlier. Arrests of convicts, meantime, rose 2 percent. More noncriminals have also been deported. Among those expelled from the U.S. interior in fiscal 2017, there was a 174 percent increase from the previous year of those with no criminal convictions. Deportations of those with convictions rose nearly 13 percent over the same period. The result is immigration courts are filling with defendants like Melissa Aispuro, 20, of Tucson, Arizona, who only came in contact with police because she called to report a car accident. Aispuro was brought to the U.S. as a child and returned to Mexico for a time after high school before crossing back into the country in 2016. She entered legally with a border crossing card, but overstayed. She hadn’t even considered police would call ICE on someone with no criminal record. ICE has heralded its deportations of drug kingpins and others accused of serious offenses, and in the 2017 fiscal year, it reported that 56 percent of all deportees it processed had been convicted of crimes. But under Trump, as with prior administrations, when a deportee does have a criminal record, it’s generally for lesser infractions. Ruben Moroyoqui, a 45-year-old mechanic in Tucson, had no conviction at all. His only run-in with police, his attorney said, was when he was pulled over last year while picking up auto parts. 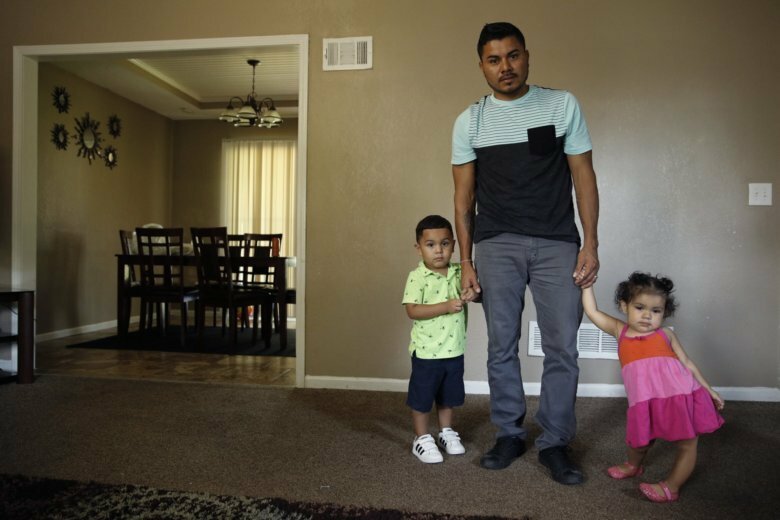 The officer asked for his license, Moroyoqui said, and then inquired: “Are you here legally?” He wasn’t cited for any driving violation but was handed over to ICE, which began proceedings to deport him to Mexico. An appeal is pending. Moroyoqui entered the country with authorization 16 years ago but then overstayed his visa. He has four U.S. citizen children and said he has always paid his taxes. “I feel great respect and love for this country,” he said. Daniel Stein, president of the Federation for American Immigration Reform, which supports restrictive immigration measures, said focusing solely on whether those in the country illegally have committed a serious crime ignores the law and that those residents should be deported regardless of whether they have a rap sheet. Stein said many in the country illegally likely have committed crimes — including securing employment by fraudulent means — but haven’t been caught yet. Ignoring that fact, he said, makes a mockery of immigration laws.